When you’re going through the process of getting a mortgage and buying a property, selling it is probably the last thing on your mind. 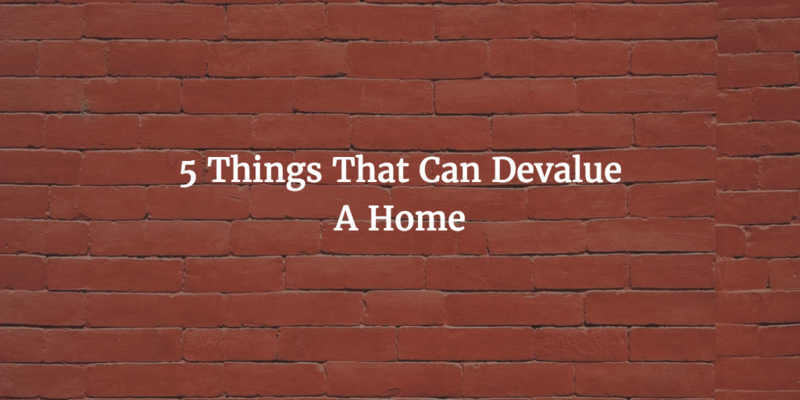 That said, it’s sensible to think about factors – even if you’re happy to overlook or not think twice about them – that may affect resale value down the line. A look at local newspapers will often reveal any sources of tension that are bubbling away, such as unwanted housing estates, wind farms or controversial plans for fracking, installing mobile phone masts etc. that are in the works. If you really love the area and still want to to buy – personally, I think wind farms look quite nice – despite something like this, think about waiting until it’s already gone ahead; it may well drive prices down. After the floods last Christmas, most buyers are probably taking a much closer look at whether properties they’re interested in are at risk of water damage. That’s a good start but there are other things to watch out for when it comes to Mother Nature, like risk of wind/storm damage or big trees blocking out natural light. If you really want to scare yourself you could read up on the scourge of Japanese knotweed, which can reduce the value of your home by up to a staggering 20%. True, neighbours probably fall into the category of external factors but they’re so important that we think they deserve an extra section. Unfortunately, there’s not much you can do about noisy or abusive neighbours, especially if they arrive after you’ve already moved in. Sellers are unlikely to tell you about minor problems they’ve had with neighbours, so it’s worth looking out for signs like poor property upkeep, loud music blaring during your visit or blatant disregard for property lines. It’s so easy to find official crime statistics online that there’s no good reason not to do a bit of research into any area you’re thinking about buying in, but even a drive around should give you a feel for how safe it is. Taking a punt on properties in up and coming areas is all the rage. But if, like has happened in some areas of London, gentrification stalls and the area fails to finish “coming up” then trying to sell could turn into a nightmare. You may struggle even to recoup what you originally spent in the first place. Saved the best for last here, because this is one that you probably already pay attention to. But the average buyer may actually be paying too much attention. It’s easy to make a split second decision about whether or not you like a property, but it’s worth remembering that much of what you don’t like (furniture, knick knacks etc.) might be going along with the previous owners. Of course, really big stuff like a shoddy conservatory or an ugly extension can be deal breakers, but don’t let something as easily rectified as a bad paint job put you off what could be the house of your dreams.